On Thursday 27th March, a group of Year 7 Kingsbury High School students took part in the BBC News School Report News Day 2014. This year, more than 30,000 students from schools across the country got involved, but only Kingsbury High School students were lucky enough to interview former international footballers, Alan Shearer and Robbie Savage at Wembley Stadium. 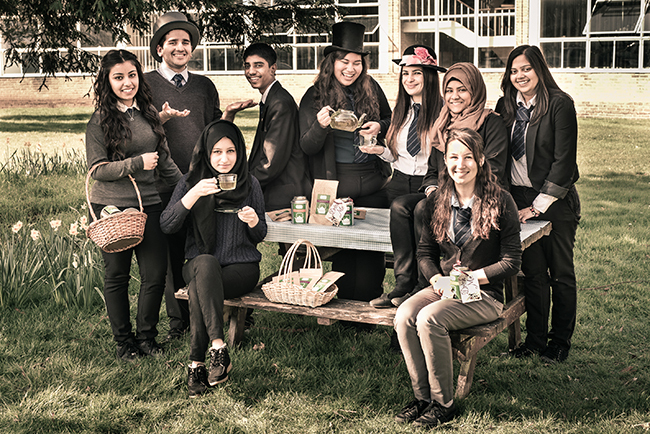 On Saturday 8th March, Kingsbury High School’s Young Enterprise team, Evalesco, launched their new range of teas at Brent Cross Shopping Centre. They are the first company in the UK to produce original blends of Blueberry with Tulsi & Aloe Vera Tea and Orange Blossom & Ginger Tea. The nine Year 12 students started their Young Enterprise journey in September when they decided that their prime aim was to produce a healthy product suitable for the mass UK market. Their research confirmed that many British people love to drink tea so they decided to combine one of the UK’s favourite drinks with healthy ingredients. The young entrepreneurs sourced ingredients from Darjeeling, West Bengal, India and found a British company, the Tea People, to blend them. The Tea People’s ethos is to give back to impoverished areas in and around the tea growing region of Darjeeling, focussing on education and helping to provide work for locals who would otherwise live on less than £1 a day. Evalesco (‘to grow stronger’ in Latin) were happy to have this social enterprise manufacture their product. At their Christmas trade stand in Harrow, the team won ‘best performance of the day’ and were commended for their ‘good sales and excellent team work’. Evalesco went on to achieve a Gold Award when they showcased their journey and displayed their Christmas range (homemade menthol candles and hand decorated henna candles). They were awarded ‘best trade stand’ when they launched their tea at Brent Cross Shopping Centre. Most recently, they won ‘best company in Brent’ and were awarded ‘most innovative product’ at the area final held at Brent Civic Centre on Wednesday 26th March. 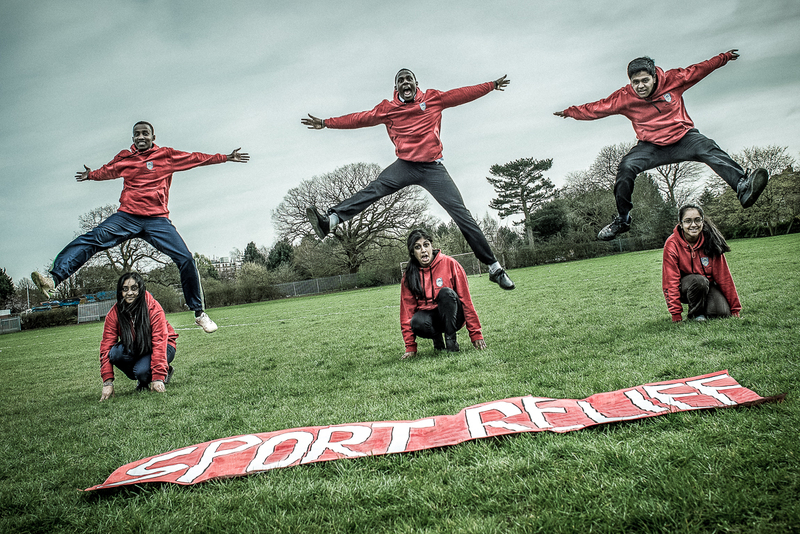 Kingsbury High School Higher Sports Leader Award (HSLA) students hosted a fun week of sporting activities for students and staff to raise money for Sport Relief 2014. The HSLAs, led by Nisani Gnanasoorian (18) and James Frater (18), organised badminton tournaments, basketball challenges and netball rallies during the week beginning Monday 17th March. The highlight of the week was Friday’s Sport Relief Mile in which students of all ages took part, cheered on by the HSLAs. For those in need of a sugar rush after their efforts, cake sales were held across both of the school’s, Princes Avenue and Bacon Lane, sites. James said “The best moment for me was when Lara in Year 7 finished the mile without her wheelchair and the whole of Year 7 cheered so loudly. It was just amazing, an amazing memory. Through the students’ sterling efforts, the school raised £2724.93 for this important cause and both staff and students had a lot of fun and got just a little bit fitter! The HSLAs concluded their week on Sunday by volunteering at the Queen Elizabeth Olympic Park where they handed out medals to those completing the Sport Relief Mile. 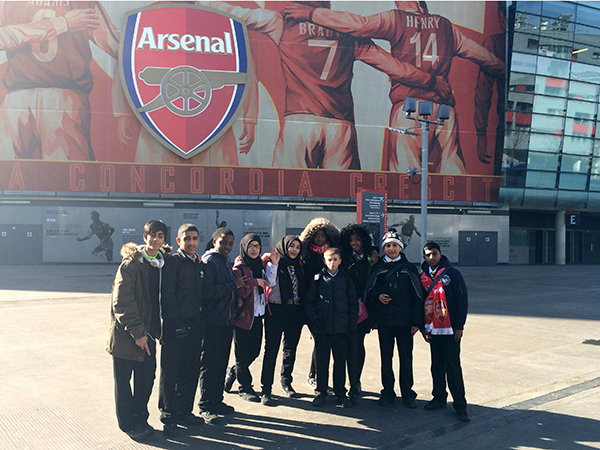 This term, a group of Year 9 Kingsbury High School students participated in the Arsenal Double Club initiative. The students attended after school clubs where they practised their language skills for 45 minutes and then honed their football skills for a further 45, with a chance to socialise at half-time. The scheme hopes to raise the profile of languages in schools and encourage students to take a language at GCSE. In the first half, students developed their language skills in the classroom, working with specially designed, Arsenal-themed workbooks, interactive PowerPoint activities and videos featuring the international stars of the Arsenal squad speaking in their native languages. In the second half, students moved to the football pitch, where they honed not only their ball skills, but also the vocabulary and phrases they learnt in the classroom in a series of coaching activities from the Arsenal training manual. At the end of the programme, the students were rewarded with a trip to Emirates Stadium, home of Arsenal Football Club, for a tour with a multilingual member of the Arsenal in the Community staff. Here, students were encouraged to practice their language skills while visiting the Directors’ Box, the media area and the changing rooms, as well as going pitch-side to see the famous turf from the manager’s perspective. The students thoroughly enjoyed the experience. Zeinab Fekri, aged 13 said “I am really looking forward to telling other students about what a wonderful opportunity I had and how much I have improved my knowledge’’. On Thursday 20th March 2014, Capgemini, one of the world’s leading IT and consulting companies, hosted a networking event to celebrate International Woman’s Day. Kingsbury High School Sixth Form students, Anika, Bindiya, Ushma and Radhika were invited to attend the event, where they heard a talk from Sly Bailey, followed by a Q & A session. Sly was on the board of a magazine publishing company at just 31 having worked her way up from being a shop assistant. She is probably best known for her role as Chief Executive at Trinity Mirror. She is now on the board of Ladbrokes; as well as being a governor at the English National Ballet schools and a non-executive director of Greencore, an Irish food company. 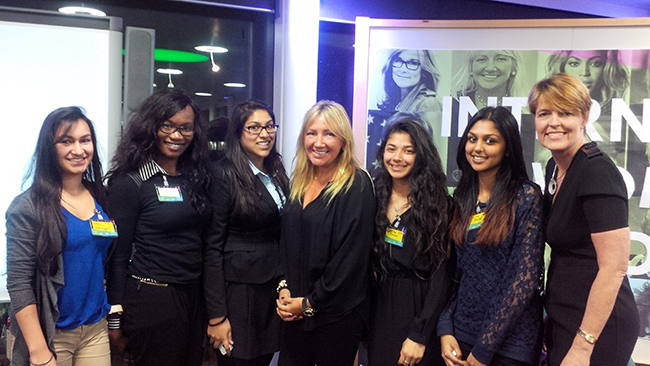 Students were able to network with Sly and Capgemini staff, including Christine Hodgson, Capgemini CEO, to find out more about working life. 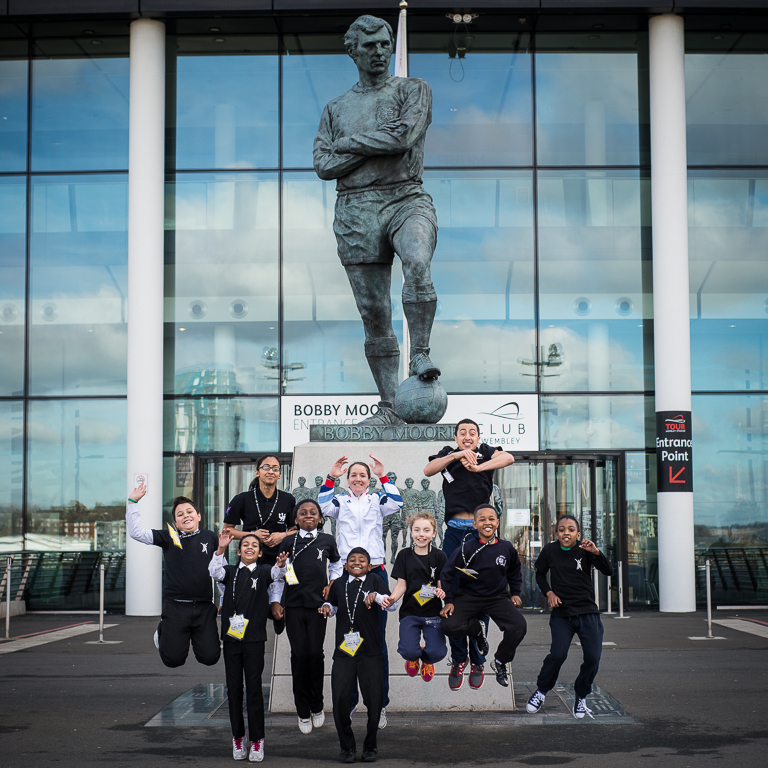 On Friday 7th March 2014, primary schools across Brent attended a Young Ambassadors event at Wembley Stadium. The event was organised by the Kingsbury High School Sports Partnership and Capital City Academy. The Young Ambassador programme was set up by the Youth Sports Trust and seeks to develop young leaders and volunteers by providing them with the responsibility of being an ambassador for PE and school sport. Friday’s event was to train primary school Bronze Ambassadors and was led by secondary school Gold Ambassadors. 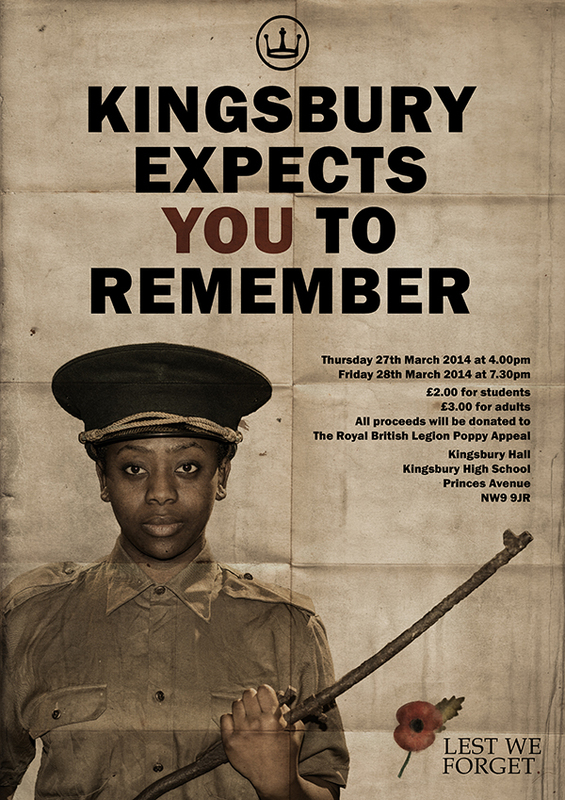 The Gold Ambassadors were from Kingsbury High School, Capital City Academy and the Jewish Free School. The Year 5 ambassadors enjoyed a guided tour around Wembley Stadium followed by a day of leadership, team building and physical activities in and around the Learning Zone. Guest speaker Casey Stoney, England and Team GB Ladies Football Captain, delivered an inspiring presentation and later joined the ambassadors out on the 5-a-side pitch. Gold Ambassador and Kingsbury High School student, Sakthy Uthayakumar, aged 15 said “I thoroughly enjoyed this experience. It was eye opening to see how many ambassadors there are and I’m proud to see that even after we go off to different colleges and universities these ambassadors will continue to thrive. The primary school ambassadors will be using their newly found skills to set up Change 4 Life clubs at their schools. The attending primary schools were St Joseph’s Catholic Junior School, Braintcroft Primary School, Uxendon Manor Primary School, Wembley Primary School, Wykeham Primary School, St Robert Southwell Catholic Primary School, Oakington Manor Primary School, Princess Frederica Church of England Primary School, Mitchell Brook Primary School and St Mary Magdalen Catholic Junior School. We are looking forward to our production, “Lest we forget”, which commemorates the one hundredth anniversary of the start of the First World War, the so called “war to end all wars”, the ending of which produced just twenty-one years of peace in Europe despite having cost millions of lives. We will be putting on a short piece of drama devised by one of our staff, Clare Reavey, interspersed with dance pieces and songs from the period. Tickets go on sale on Wednesday 12th March and will be available to buy from Heads of Year offices. Visitors to the school can buy their ticket(s) on the door.